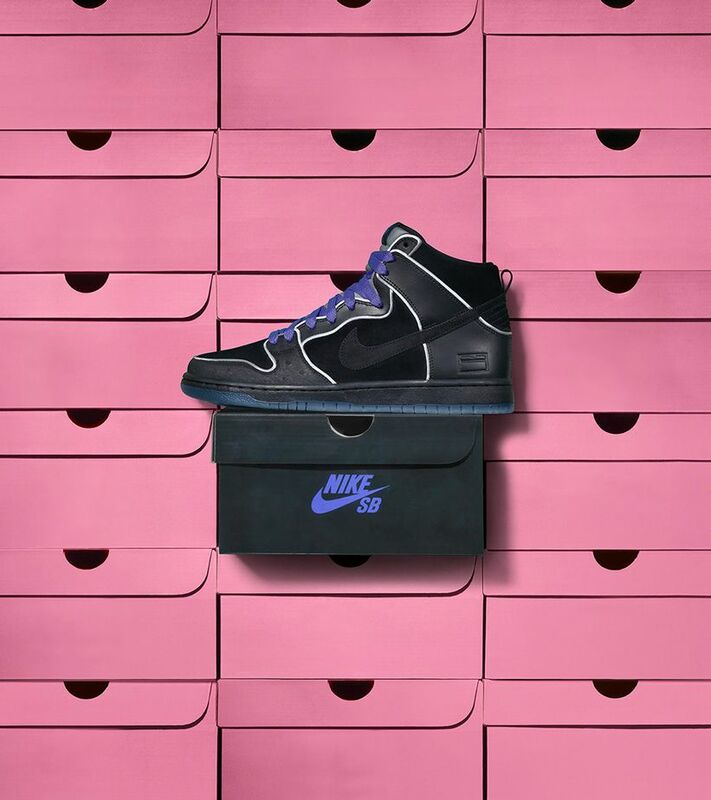 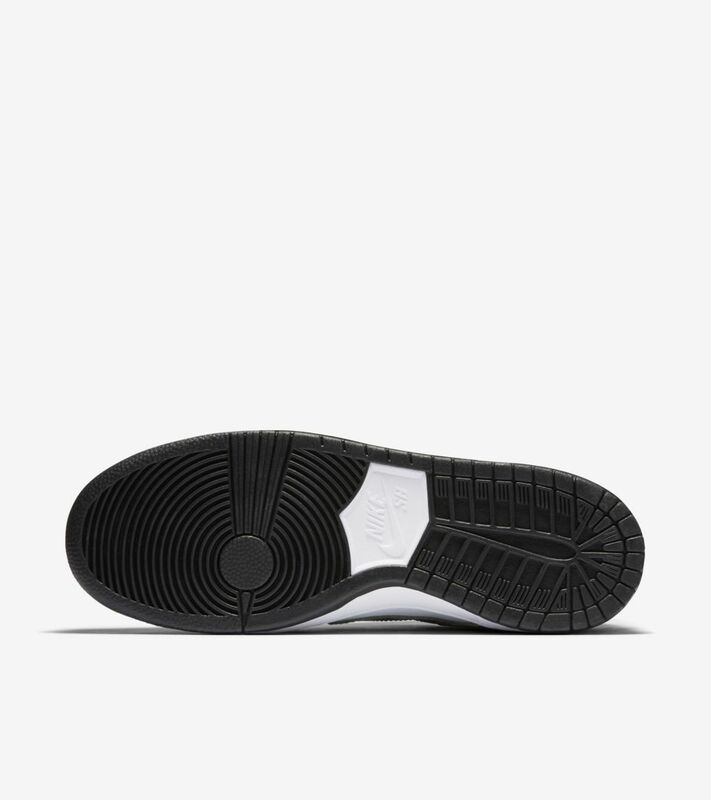 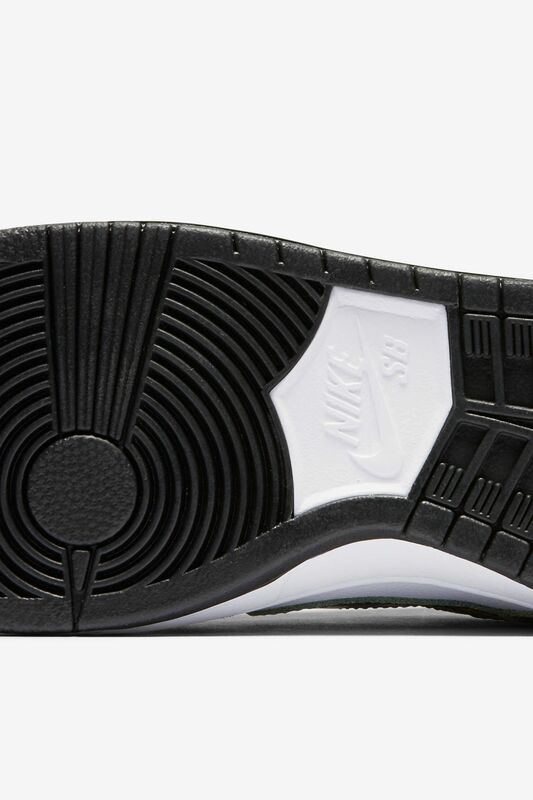 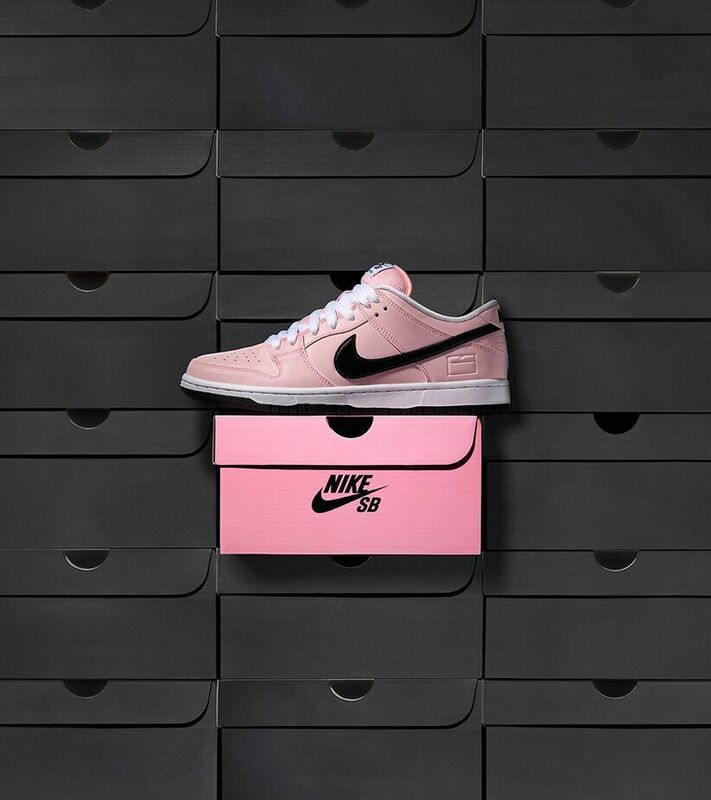 Zoom Air cushioning has long been a staple in the iconic SB Dunk Low Pro. 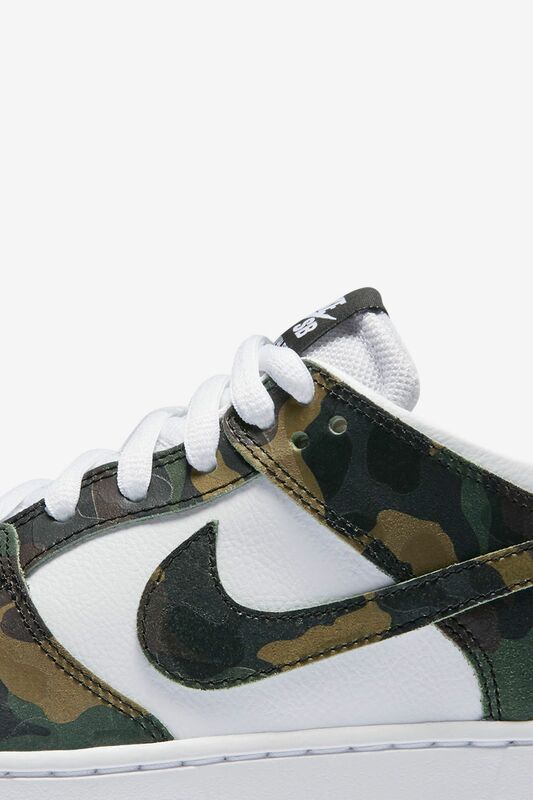 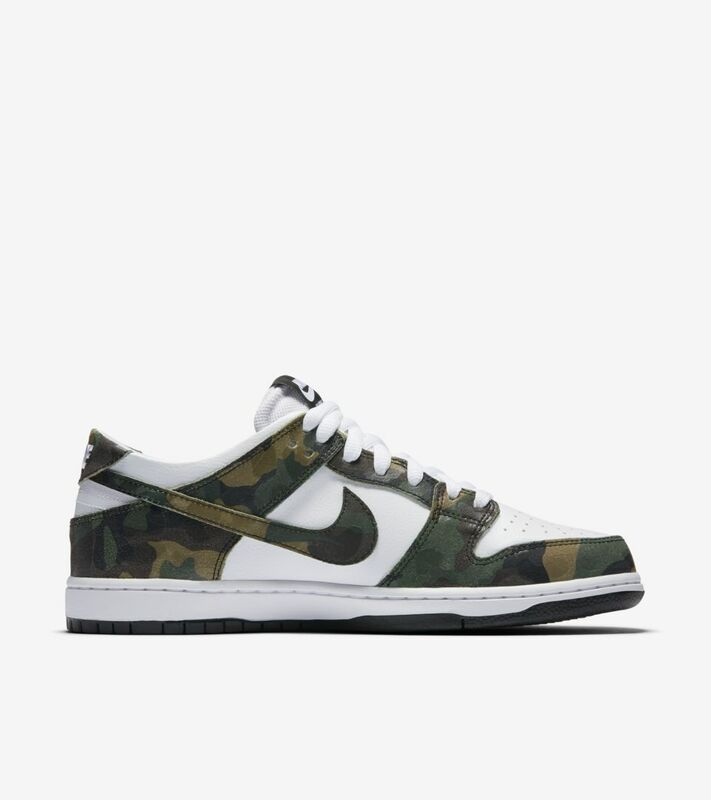 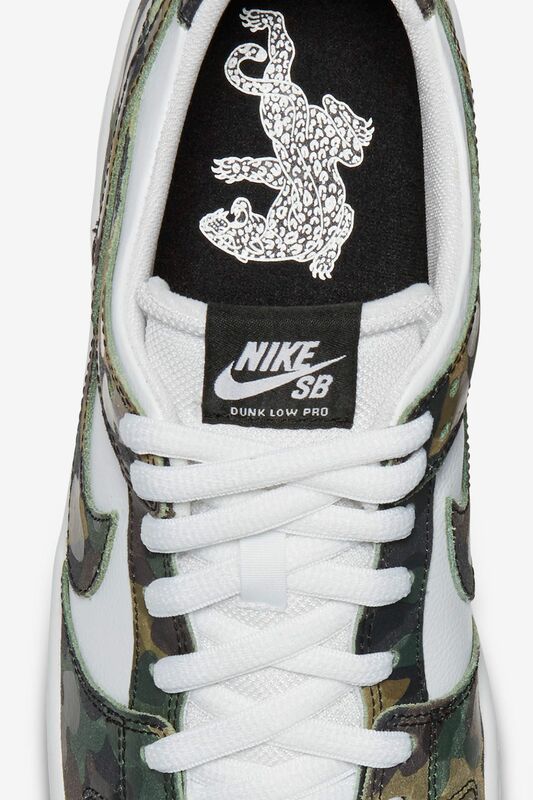 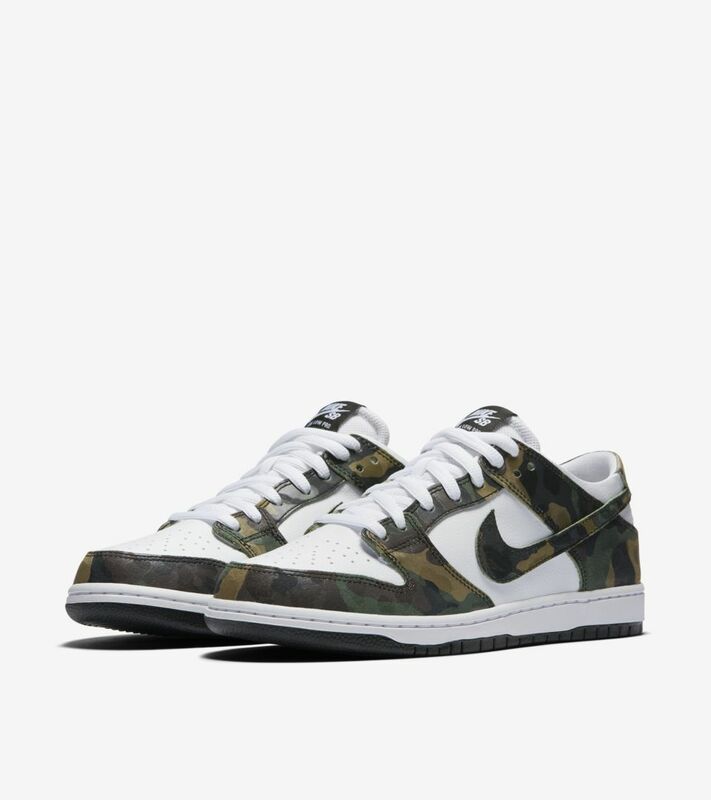 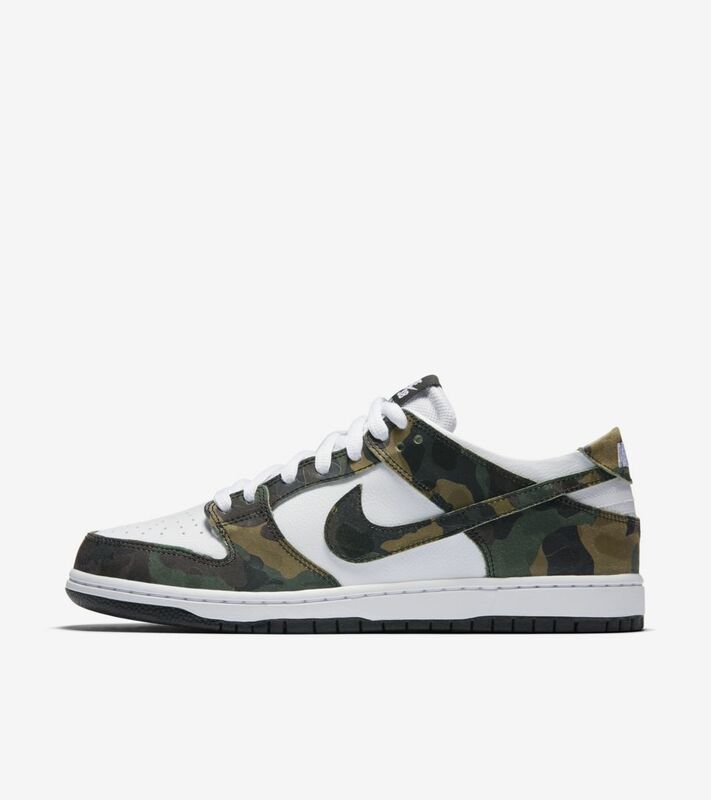 Responsive Zoom Air cushioning elevates the latest SB Dunk Low Pro, outfitted in a classic camo pattern. 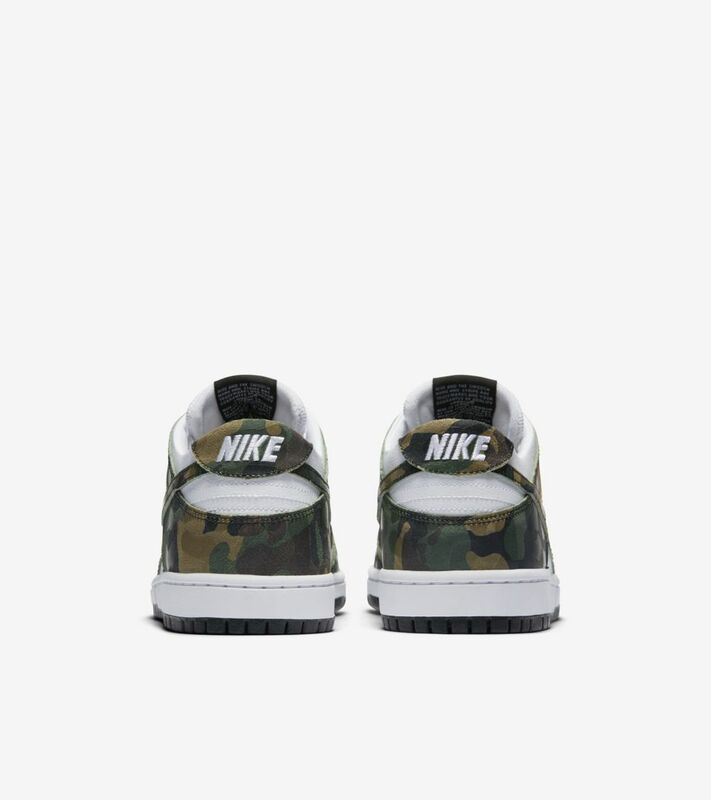 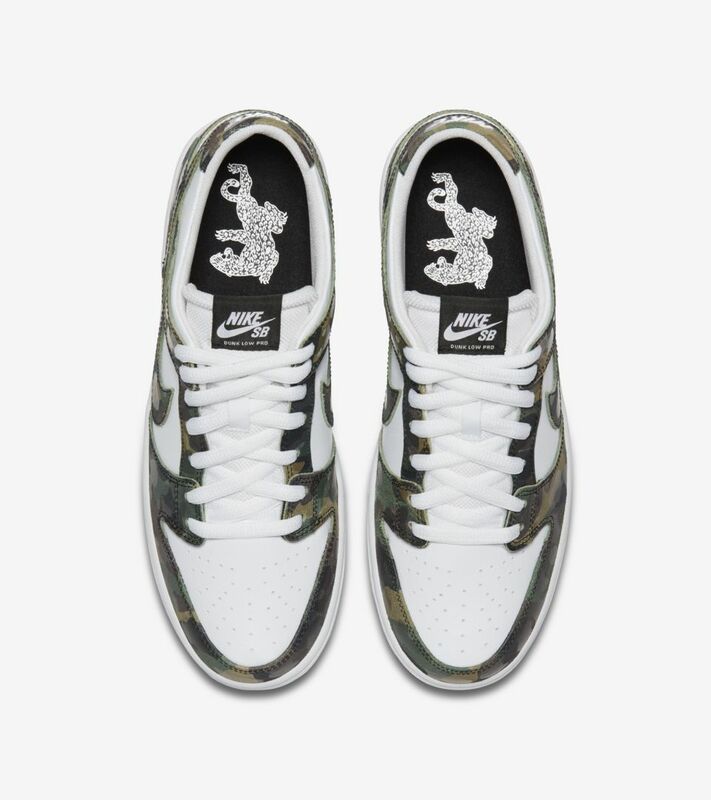 The camo hits are paired with a classic White leather construction and a traditional SB Dunk sole featuring Zoom Air cushioning below.